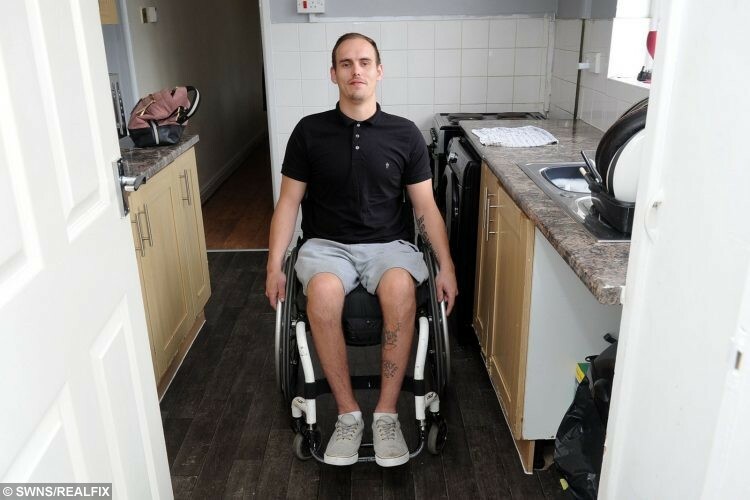 A paralysed man says he is HOSED down in the garden because the council refuse to help him move into a disabled-friendly home – because he’s too YOUNG. 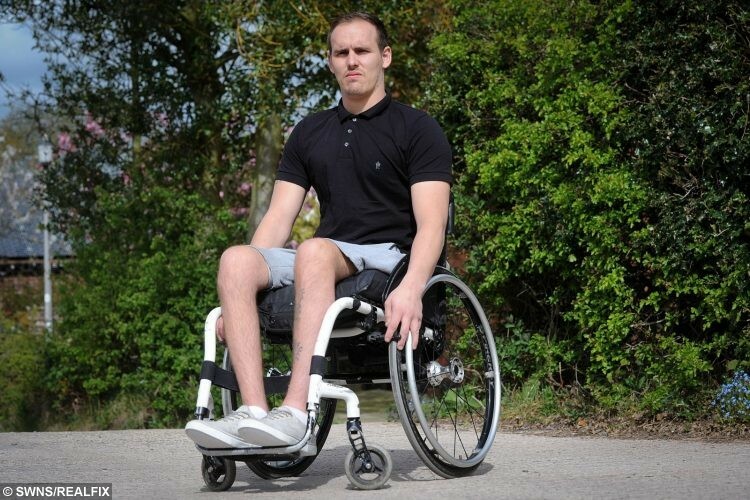 Daniel Woolley, 25, was left wheelchair bound after a horror motorbike crash in April 2014. He had to move into his sister’s home where he lived in the living room downstairs before moving in with his mum. The family are unable to modify the bathroom upstairs or install a stair-lift to make it accessible for Daniel because the house is privately rented. 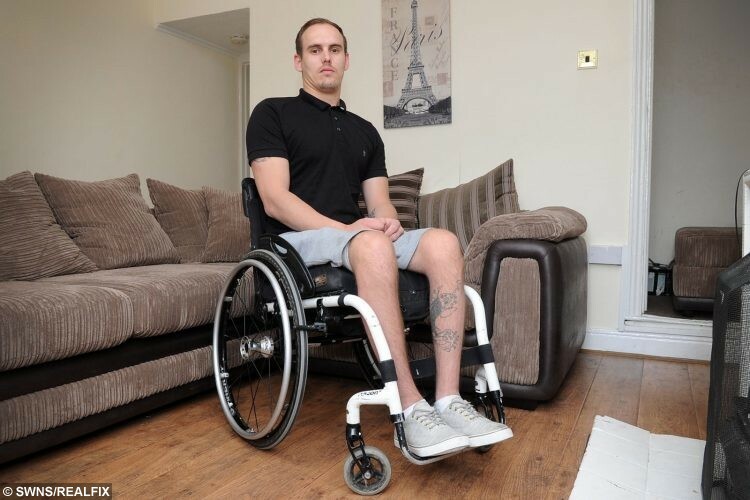 Daniel, who worked as a UPS delivery driver before his accident, applied to North Warwickshire Borough Council for a bungalow but was told he is too young to be considered. Today, Daniel, who lives with his mum in Shuttington, Warks., said the authority had only offered him an upstairs flat. He added: “North Warwickshire Borough Council keep saying that I can’t apply for bungalows because I’m not 60-years-old or over. “It feels like I’m being discriminated against. “It’s difficult because there isn’t a category for young disabled adults, I’m not getting any help. “It’s been a big change for me. His sister Katie Woolley said the only way Daniel could have a wash was if they hosed him down in the garden. The hairdresser added: “I was raising my child and looking after my brother at the same time. “I was also trying to balance both while working. “He is now living at my mum’s house downstairs but they’ve had to make a ramp to get through the door. “Because it’s rented from a private landlord, we can’t make the bathroom accessible for him. “He has to use a commode and he can only have washes or we have to hose him down outside. “It gets really frustrating for him, it feels like everything is against him. “He’s been offered one bungalow in the past but an elderly person couldn’t even move around it in a zimmer frame, never mind a wheelchair. A spokesman for North Warwickshire Borough Council admitted many of their bungalows were “not adapted for wheelchair users”. They said: “We are sorry to learn that Mr Woolley is not satisfied with the service we have provided. “Having been alerted to his concerns we have contacted him to discuss them and to advise him how we are working to assist him with his housing needs. “The council does have a strong demand for its vacancies and that can mean that applicants have to wait longer than they would prefer. 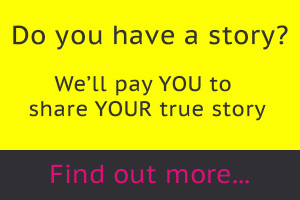 “We have designated sheltered schemes which are for older communities. “We also have bungalows which are not part of these schemes so this is not a particular barrier for younger applicants who need ground floor accommodation. “However many of our bungalows are not adapted for wheelchair users. “We are working to increase the supply to meet needs. We have offered Mr Woolley a bungalow but unfortunately it was not suitable for his needs.